Ah, my favorite show <3 As you mentioned, i do see the consistency between the interview here and that of Aiba's segment in Arashi ni Shiyagare. 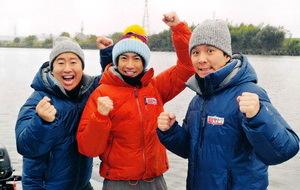 I would never have thought of Aiba as a leader while he's with the rest of Arashi. But he certainly gives this leader-vibe while he's on these shows. It's so refreshing.